Samuel appeared on Show 304, recorded in Wellesley, MA, on March 26, 2015. 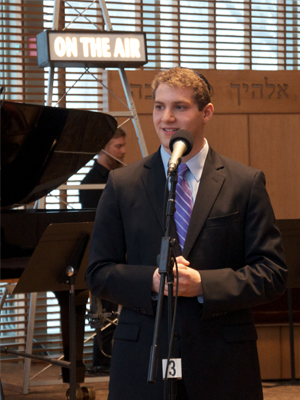 Samuel Rosner (tenor), 16, is from Scarsdale, New York, where he attends Scarsdale High School. He studies with Lorraine Nubar at the Juilliard Pre-College Division. Samuel is the recipient of a grant from the ASCAP Foundation’s Irving Caesar Fund to be featured as a young composer on From the Top. He has attended the Boston University Tanglewood Institute Vocal Program and has performed as a soloist with the Metropolitan Opera Children’s Chorus and the Hazamir Choir. Samuel composes and plays the piano. Outside of music, he enjoys photography, nature, and hiking.